If an individual falls in the 30% tax bracket and has exhausted the maximum limit of Section 80C, one can save upto Rs 46,800 in taxes. We runs you through the provisions of Section 80C. However, we highlight those schemes that are little known and which many investors avail of sparingly. The first and foremost provision that many taxpayers are not aware of is stamp duty and registration charges. According to the law, ‘the amount paid towards stamp duty, registration fees and other expenses for the purpose of transfer of house property to the owner also qualifies for tax exemption’. This is over and above the principal payment that qualifies under Section 80C. But deduction u/s. 80C for total amount including Principal Loan Repayment and stamp duty and registration charges can not exceed Rs. Rs. 1.50 Lakh . Exemption for interest payment towards home loan is permissible under another section hence the above limit of Rs 1.50 lakh does not apply to it. Let us take an example, Mr A purchases a house property of Rs 32 lakh and takes a home loan of Rs 25 lakh at 10%. His stamp duty and registration charges on this work out to approximately Rs 1.75 lakh. The interest for the first year comes to Rs 2.48 lakh and principal payment comes to Rs 41,376. Thus, Mr A can claim maximum tax exemption of Rs 2 lakh on his interest payment under Sec 24. The entire principal payment (not more than Rs 1.50 lakh) of Rs 41,376 can be claimed under Sec 80C. Nonetheless, it still leaves Rs 1,08,624 to be invested in other tax-saving instruments to reduce overall tax liability. In reality, buying a house is quite often an expensive affair, leaving little cash with the home buyer. On top of it, if one has to make additional investment to save on tax, it becomes difficult. But with the inclusion of registration and stamp duty fees under Section 80C, it not only reduces tax liability but also saves the property buyer from further cash outgo. As in this case buyer has not to invest further Rs. 1,08,624 in tax-saving instruments to claim Full deduction U/s. 80C as his Payment of Rs. 1.75 lakh towards Stamp duty and registration charges also qualifies for deduction Under Section 80C. Another provision that would be eligible for exemption under Section 80C is ‘any sum paid towards fixed-deposit schemes of HUDCO or to any housing board, which is constituted in India for the purpose of planning, development or improvement of cities or towns’. Typically, these schemes are promoted by state housing boards to promote long-term social sector objectives, or for infrastructure development of city. In fact, principal payment towards home loans taken from Housing and Urban Development Corporation (HUDCO) also qualifies for exemption under Sec 80C. Even subscription to a home loan account scheme of the National Housing Bank (NHB) or contribution to any notified pension fund set up by the NHB also meet the requirements. Hence, if these two offer home loans at competitive rates, one can avail loan from them as well. Further, contribution to a non-commutable deferred annuity plan is also an option to avail tax exemption. In normal parlance, this is nothing but a standard pension plan eligible for tax exemption under Section 80C. This includes schemes such as Jeevan Suraksha by LIC or Pension Plus plan by HDFC Standard Life. Contribution to an approved superannuation fund is also a way to claim tax benefit. Typically, large organisations maintain superannuation funds and contribute to them. In case employees want to make a higher contribution; they can do so to the extent of 15% of basic plus dearness allowance. Besides these lesser-known options, the other commonly used options are contribution to employee provident fund, life insurance premium, or payment of tuition fees. Five-year tax saving fixed deposits issued by banks can also be bought. These FD’s have an edge over NSC with a one-year lesser lock-in period. However, the NSC has an edge because of the fact that interest accrued is also eligible for 80 C limit for the first five years that is not the case with FDs. Besides, these low risk options, one can go for high-risk return schemes such as equity-linked savings scheme MF or even Ulips. ELSS usually provides a higher return in the long run than small savings schemes and carries a lower lock-in period of three years. Small savings schemes offer a lower return of around 8 to 9.3%. Further, there is a relatively long lock-in period -15 years for the PPF and six years for NSC. The advantage with these schemes is that they offer a guaranteed return unlike equity-based products where there is no guaranteed return and one can lose money like when the markets tumbled in 2008. Risk profile and investment strategy are the key determinants for allocating funds to any scheme. Also, one must consider inflation-adjusted returns before taking a decision. Registration charges is incurred while renewing a rental agreement is it allowable u/s 80C? I have paid Registration and Stamp duty charges on 26th March 2017 and got the flat possession on 5th Aug 2017. Is there any way to update/rectify last FY year i.e. 2016-17 IT return? my dad bought property in year 1994 on power of attorney in almora bcz that time seller was below 18 so was not able to do registry. now my dad want to do registry of that property,transaction had made in the past..does the seller will come under tax for the property which is sold in the past?? I have got a Pre-approval for a Home loan where my wife (as a house wife) is a Primary applicant along with me ( as a secondary applicant ) in the loan application, the reason to made her Primary applicant as there was less amount paid for processing as compared if i become Primary. She has no income and entire loan amount has been sanctioned based on my salary and proofs. We have identified a property and going to register that as soon as Legal on the property documents get completed by Loan Legal / Technical department. Loan department provide a go-head in next couple of days, we shall be going to register the property jointly where she would be primary and i would be secondary. 1. As the entire payment on Stamp Duty would be aprox 2 Lakhs+, Would i be able to get a Tax exemption under sec 80C in this Financial year upto 1.5 Lakhs if limit is not exhausted and further more the EMIs would be going with our joint account where i shall be transferring the amount via NEFT from my Salary account to another joint account and then the EMI would be getting debited via ECS to Loan company. 2. Should i be getting full rebate on my interest and principal , Since my wife has no income and EMIs are only getting paid by me via a Joint Bank account. We have booked a flat and paid stampn duty and registration charges and will be getting possession in the month of May 2016. Can we both can claim exemption under Section 80C of the IT Act, and what would be limit for Assessment Year 2016-1017? Can stamp duty & registration exemption under 80c be claimed if the I buy a flat in resale? Yes the same can be claimed even if Flat is Purchased in resale. For a resale house Stam duty and registration fees cannot be exampted it is for new house only. We have purchased a apartment in 2013 and the possession is due for Jan 2016 , if the project gets delayed by another 6 months from Jan 2016 – Can I still claim Interest under 80cc as I understand from sources that there is a lock in period of 3 years from the time of sign of agreement or disbursement of loan and we need to have the possesion within 3 years. If my father gifts me money (Rs.6,00,000) to partially repay my home loan of Rs. 25,00,000 (which is under mine and my spouse’s name), will I have to pay tax for the amount my father gifted me. I have purchased Flat in KHB Heritage of Karnataka Housing Board, Belgaum during the month of May.2013. For this I have paid Stamp duty and registeration charges of Rs.2 Lakhs. This amount I have non claimed as income tax exemption during 2013-14 and 2014-15. Kindly inform me whether I can claim this amount of Stamp duty and Registeration charges as Income Tax exemption during this financial year 2015-16 or not. If yes under which section I can claim exemption. Under Section 24(b) and 80 C of IT act My details of interest and principal for 2014-15 and 2015-16 are as below. 1- If i am buying a plot in Uttarpradesh, will the registry and stamp charges will be an exemption under 80 C for plot buying. 2- if the plot buyer are joint and then how much both can claim. 3- How to claim , as i can have photo copy of registry on my name and but registration fees receipt is having seller name (as presenter / applicant), some body shared that i can show register photo copy having details of stamp value, land value, and registration fees, on back of stamp by (computer person). Also, you can claim 80C deduction for such interes, because interest accrued on NSC is deemed to be investment for 80C. There is no confusion, because people merge all transaction in single therefore confusion creates. Many questions are asked above under construction property. I have the same question, Can you clarify the deduction of stamp duty, registration , loan amount and interest in case of under construction property, and the benefits available only after getting possession. Is Interest on NSC Tax free ???? My reply to the doubt raised by one Sri Nagaraj d.19-01-2013. Sri Nagara has to verify components of total amount of vrs. payable by the employer under section 4 of gratuity act. But under income tax act, such payment is fully exempt. 3) Leave encashment upto Rs.5 lakhs is fully exempted from income tax act. is fully exempted from income tax act. 5) Ex-gratia payment is exempted upto Rs.5 lakhs in the year of receipt. So the employee can find out the amount of such excess gratuity exceeding Rs.5 lakhs. Such excess amount alone is taxable at the applicable rate. Insist on form 16 and demand for it. I have buy an under construction flat this year which cost is 24L, among which I have paid 3L and rest from loan. Am I eligable to get tax benifit on the amount I have paid and the EMI I have paid this year? My father gave Rs.2 Lakh towards gift for me to buy a land. I will not repay this amount to him. I will buy a land with this amount (by adding some money from my packet) after few months. Shall I need to include this amount as income in my IT returns ( if to be declared, can I declare it as non-taxable income – if so under which heading I can include this). please advise me. Whether the Tax exemption is applicable of payment for Stamp duty of open plot registration. Cornea Replaced in One Eye As that Eye was having Totally Zero Vision . I have purchased a vacant land near to Chennai on 13th Mar 2013. Whether I am eligible for Tax Exemption for the FY 2013-14. I have taken VRS in the month of Apr 2012,I want to know for calculating income should I take VRS amount and the interest earned from the amount which I have invested as the total income.My employer has all ready deducted tax for the VRS amount,so my query is can I take only the interest earned as the income for FY 2012-13,please clarify. I hav paid House loan interest 1,12287/- & principal 6630/- for the year 01.04.2011 to 31.03.12.How much amount exaption in income tax. Can interest on housing loan in excess of 1.5 lac be claimed as repayment of loan u/s 80c if max limit of Rs. 1 lac is not exhausted? Please any one clarify. Stamp duty paid on Lease/rental deeds is not allowed because Section 80C clearly specifies that stamp duty and registeration charges only for the purpose of transfer of house property is allowed. Secondly,the deduction of Rs. 100000 is the maximum deduction allowed under this section inclusive of stamp duty and registeration charges. 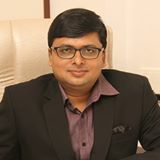 if the amount of stamp duty and registeration charges is included in the amount of loan and we are claiming deduction for the principal repayment of loan u/s 80C, then stamp duty and registeration charges are not allowed as it will amount to double deduction.But it is advisable to take benefit of these in the one year only. can anybody confirm whether service tax paid along with the life insurance premium is also eligible for exemption u/s 80C. plz give me the link of the document if possible to prove this. is repayment of agricultural loan exempted from tax? also is investment in e-gold exempted from tax? CAn I claim HRA deduction & stamp duty benfir under section 80C…. adding the stamp value and registration charges for tax benifit, but main thing is at the time registration main amount is stamp paper costbut bank dosnt give any bill supooriting, so how can claim the exemption without any supporiting ?? What is the limit of Stamp Duty which can be claimed as deduction? Can the exemption limit u/s 80C exeed Rs. 1 lac in this case????? No. maximum dedcution under section 80C can not exceed Rs. one lakh. Some times stamp duty & registration chargres are paid on Lease/ Rental deeds. Are these charges eligible under Section 80 C? Besides, can we claim the stamp value straight under 80C once again? Quiet interesting!!! only Last month I have paid stamp duty & registration Charges. Thanks. I have gone through the exemptions given u/s 80 c of IT act. but there is a little bit confusion, is these are can claim over and obove Rs.1.00 lakh or included in the limit of 1.00 lakh. Please clarify clearly. Maximum you can claim is one Lakh.